Photo: Ribbon cutting on the new clubhouse at Arrowhead State Park Golf Course. 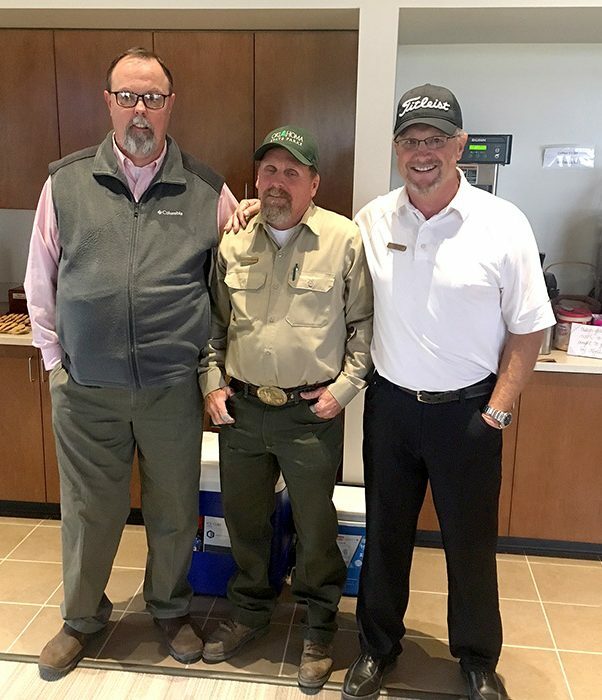 From left, Merle Cox, southeast regional manager for Oklahoma State Parks, Kris Marek, Oklahoma State Parks director, Richard Dutton, executive director of Oklahoma Tourism, and Grant Humphreys, an Oklahoma Tourism commissioner. 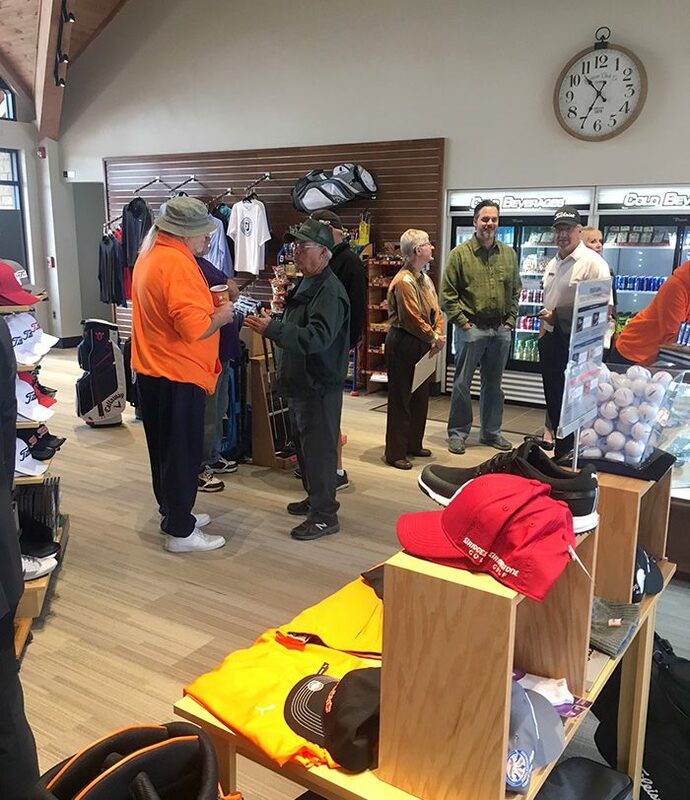 In the latest in a series of significant upgrades, Arrowhead State Park Golf Course held a grand opening Nov. 1 for its new 2,500-square foot clubhouse. 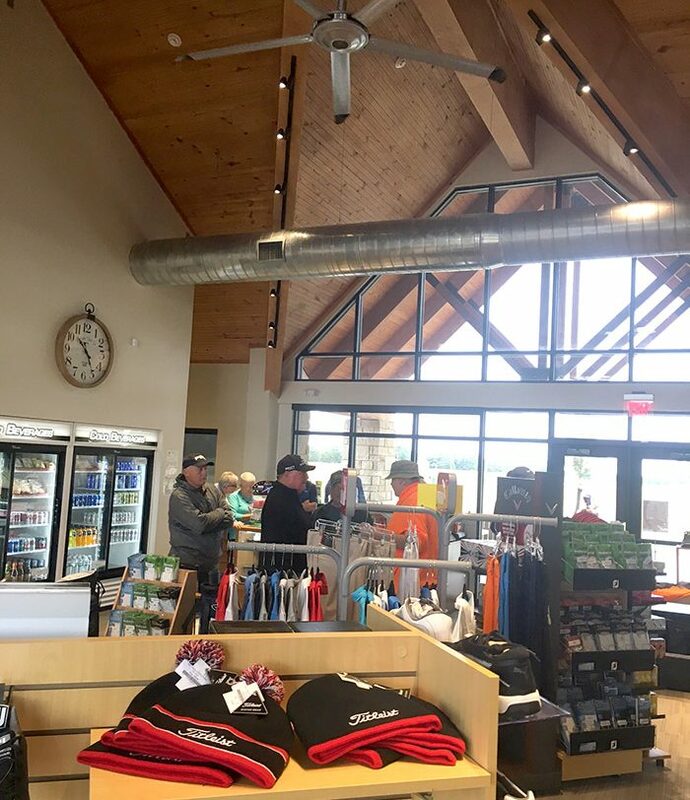 The roomy building replaces a cramped edifice from the early 1960s and gives Director of Golf Jim Ramsey room to properly display merchandise and view the first tee from the register. 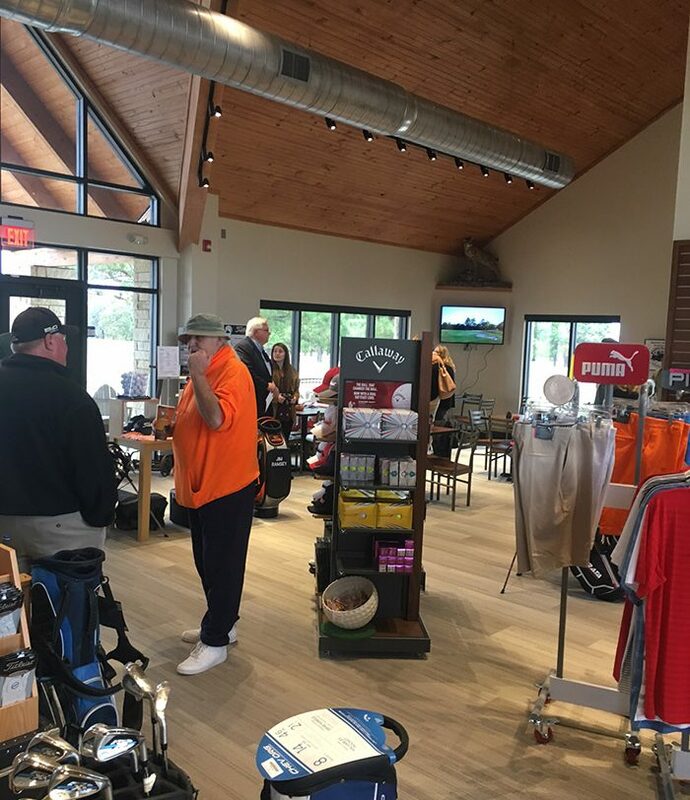 Golfers will have wall coolers to pick up drinks and snacks before or after a round and a dining area with grilled hot dogs and other food available with plenty of seating and a large screen television, which on this day was showing stunning aerial footage of the course. 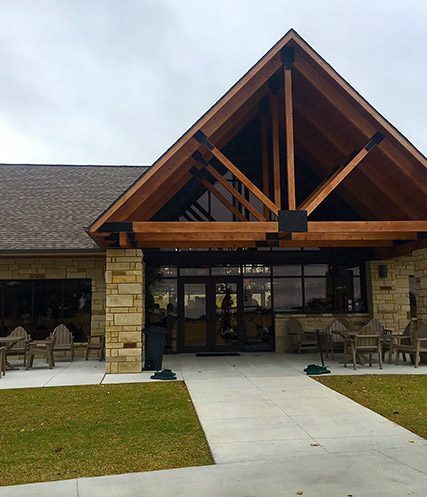 Construction began in October of 2016 and the clubhouse opened for use in early October of 2017. 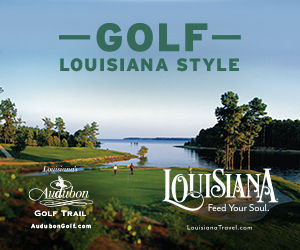 Combined with recent upgrades to the course which include a new irrigation system and the rebuilding of bunkers on nine holes, with the other nine scheduled this spring, along with the natural beauty of the wooded setting with views of Lake Eufaula, Arrowhead has made major strides toward becoming one of the best public or resort courses in the state. 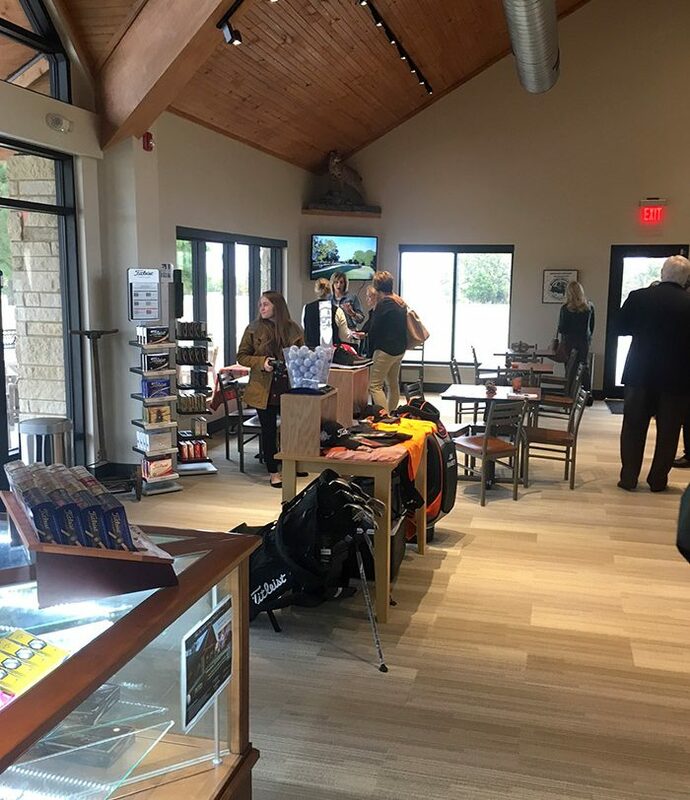 Prior to official remarks by Richard Dutton, the executive director of the tourism and recreation department, Ramsey was approached by a long-time Arrowhead patron. The building was designed by George Slosky, an architect with the state. The interior designer was Kalise Kriewall. Cyntergy AEC provided architectural and engineering services. 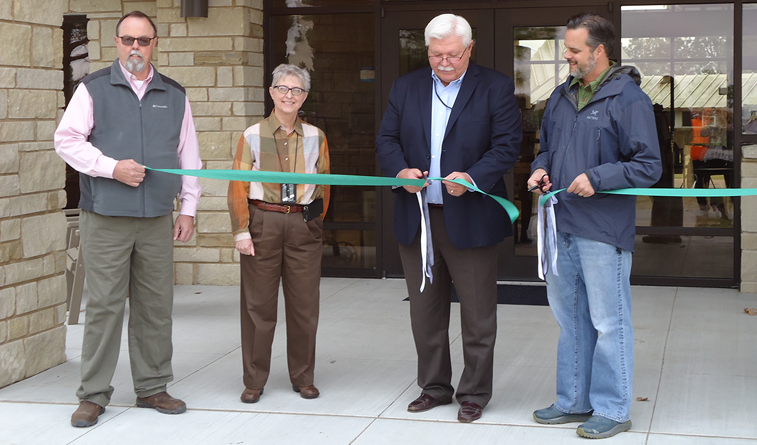 Dutton and Grant Humphreys, a tourism commissioner who is the owner of a nearby real estate development Carlton Landing and the son of former Oklahoma City mayor Kirk Humphreys, did the ribbon cutting duties, while Kris Marek, director of parks, resorts and golf, also spoke. 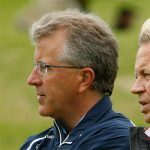 “This is a great step in the right direction for Arrowhead along with all the other improvements that have been made,” Dutton said of the project. Including the new cart barn, clubhouse, bunkers and irrigation system, more than 2.2 million has been spent to upgrade Arrowhead. 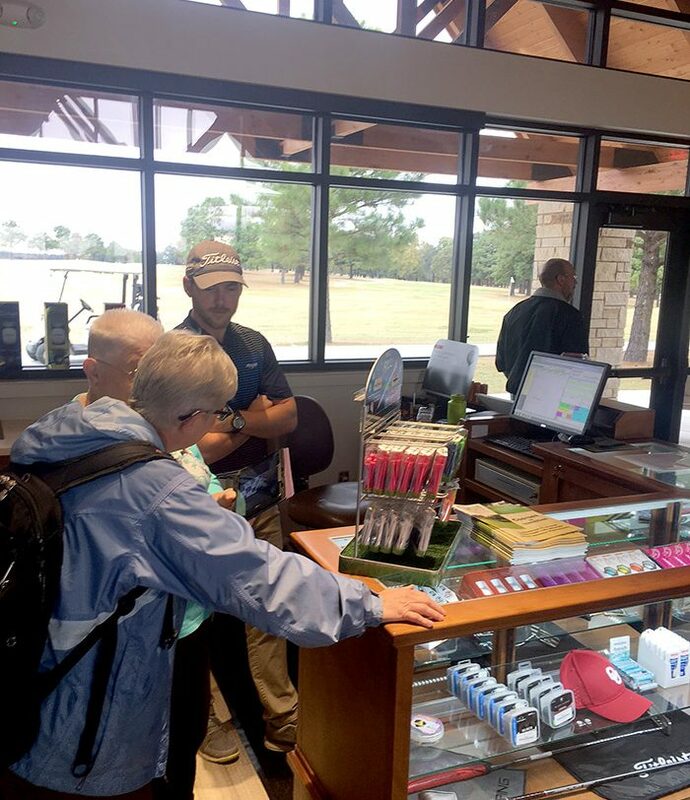 Toward that end, Dutton said recent improvements such as new lodges at Sequoyah State Park and Lake Murray State Park have resulted in huge leaps in room nights and increased traffic on the golf courses, which also have been improved. Arrowhead does not have a lodge, but play has picked up with course improvements and Ramsey expects those numbers to continue to rise. 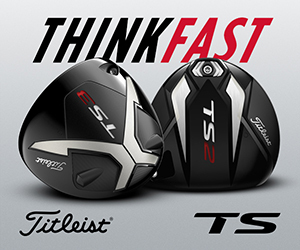 “We will absolutely be the equal of about any public course in the state,” he said.